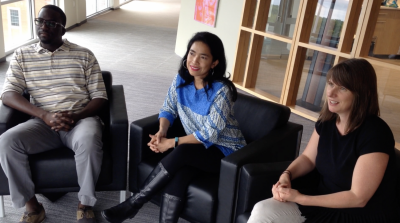 This week Lisa chats with Cheikh Tall, Maya Tremelling, and Merywen “Wenny” Wigley, of FHI 360. Their amazing company is working in 70 countries to find cures for many of the world’s deadliest diseases, provide water for villages in Africa, and promote the health and well-being of all people. You can connect with the FHI 360 team through their website, Twitter, and their interesting and informative blog. 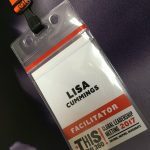 I’m your host, Lisa Cummings—and I gotta tell ya, whether you’re leading a team or leading yourself…it’s hard to find something more **ENERGIZING** and productive than using your natural talents every day at work. I was onsite, delivering a StrengthsFinder program to their Global Leadership Team. They came from all over the world and, man, we got to apply the concept of strengths to [00:01:00] suuuuch a wide range of job res ponsibilities. We had research scientists, we had country directors, we had clinical operations leaders, and we had people whose career mission is to cure malaria. We had leaders who devoted their entire lives to getting clean drinking water to villages in Africa. It was amazing, and their organizational culture really stuck me. It feels different (in a special way) when you walk in their building. So [00:01:30] I couldn’t pass up the opportunity to chat with some of their team members about what makes this organization so special. Now, bear with us. The audio on this episode is not as good as our usual standard. We’re on site, in a common space, with four of us on one centralized microphone. The setup was not ideal for your ear buds, yet we made it work on the fly. And, even with the extra fuzz and distance in your ears, you’ll absolutely benefit by listening to their creative tips and culture-building ideas. In just a sec, they’ll start giving you 10 specific ideas you can borrow for YOUR work culture. 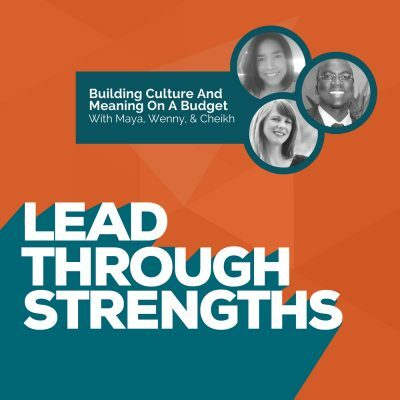 If you find it tough to follow who is talking (because there are 4 of us), take a glance over at leadthroughstrengths.com/listen. When you see the podcast episode art with three faces, you’ll know you found them. We added photos of each person throughout the show notes – so I think you’ll love checking out those visuals (we even have some that show the 10 tips in action). That page also includes each person’s StrengthsFinder talent themes, so it might be fun for you to spot their natural talents as you hear how they describe their ideas. We kick it off with Wenny. She jumps right in with their [00:03:00] Charity Cube idea. Here she is, giving you a cool use for the empty cubicle in your office! Wenny: Hi, I’m Wenny and I’m a project director. My favorite thing about working here or one cool thing I look forward to is an initiative we have called the Charity Cube. It’s an empty cube that we use as a mini-thrift store to raise funds [00:03:30] for charities that are nominated by our staff. Sometimes it will be a charity that our staff cares about, local or national, or sometimes it’ll be something that has personal significance to someone, right? Now for example, this month, the funds raised through the Charity Cube are going to the Leukemia Society because one of our colleagues lost her husband recently to leukemia, so it’s raising money in honor of him. Lisa: I can already tell it’s something of meaning here. Tell me a little bit [00:04:00] about what that cube looks like. If you walk up to that cube, what do you see? Because I imagine almost everybody listening has an empty cube somewhere around the office and they want to do this. What does that look like? Wenny: Sure. We invested in a portable clothing rack. I think a company called Neatfreak makes it. We have clothes hanging there. We ask people to only bring in really nice stuff. We usually have some shoes and purses. There are books, CDs and DVDs [00:04:30]. Knickknacks. People bring in all kinds of things. Some things we wish they didn’t, but usually what happens is the good stuff is gone in a second. What’s left over is the stuff that nobody wants, so once a month, we get volunteers to come clean it out and to purge it, then we start over. We’ve raised $5,000 in the Charity Cube. We’ve been doing it two years and each month, it’s a different charity and [00:05:00] staff nominates it. It’s fun. It needs to be placed somewhere strategic. Our Charity Cube is placed right next to the canteen, so everyone who’s going to warm up their lunch stops by. It’s an honor system. There’s a moneybox. People put in the cash and once a month, we add up all the money and send it to a charity. Lisa: It’s like a little retail store in a cube. I wasn’t even imagining it at first. Wenny: Yeah. It manages itself, for the most part. Lisa: And anybody listening to this could implement something like that. They don’t have to be a people [00:05:30] manager to do that. That can be anyone who wants to demonstrate leadership and do something meaningful. Ooh. Maya, this is a lot to live up to. What kind of cool thing do you love here? Maya: My name is Maya Tremelling [00:05:43]. I’m responsible for record management and I’ve worked for FHI for almost nine years. What I like most about working in this company are the people. Lisa: Let’s talk about relationships for a second and what happens when you’re so far away. I talk to more and more people at companies, organizations everywhere that have remote employees all over the place. Your tightest knit team might not be anywhere near you, so how do you … This answer could be for anyone even though, Cheikh, you haven’t been able to introduce yourself yet. How do you stay connected like that relationship-wise when you’re not physically seeing each other? Maya: Yeah, ERG. I don’t know if you heard of them [00:06:29]. Cheikh: Employee [00:06:30] Resource Group. Yes. Lisa: Yes. Talk about them. Maya: We have so many groups. Maybe I can talk for “Tapioca” [00:06:38], which is Asian people, but people who care about Asia also can join. You don’t need to be Asian to join. We have really good causes too, like fundraising. We celebrate New Year’s for all the countries in Asia. We have potlucks. Being away from our countries can feel lonely, but it feels like we are family here. It’s just nice. Lisa: Yeah, so you mentioned Tapioca. You mentioned Young Professionals. Is that an Employee Resource Group? Lisa: What are some other ones? Cheikh: I think a bicycle group. Cheikh: They have a bunch of bicycles. Yeah. Wenny: Yeah. We have a bicycle one, working parents. Oh, Toastmasters, public speaking, Africa, Asia. Military veterans? [00:07:25] Oh, a fitness one that does yoga and meditation. Lisa: It’s as if you find a special connection point, you could makeone of these. Wenny: Sure. You can propose it. Cheikh: The last one is a women’s group. Wenny: Oh, yeah. The women’s group? Yeah. Cheikh: I attended that one [smiles]. Wenny: That’s awesome. Good for you [cheerful crosstalk]. Lisa: Okay, so now people have sort of met you. Lisa: Tell them who you are and one of the cool things you love about working here. Cheikh: My name is Cheikh Tall [00:07:52]. I’ve been with FHI for about a year. The purpose for me to join FHI was the work that FHI was doing. I was just sitting at my old job – just working and I guess it wasn’t meaningful to me. It wasn’t about the money, it’s about what I want to do personally. I think working here – and the work that FHI is doing, that’s one of the main things that I like about working here. Lisa: Yeah. I think people listening to this will almost feel like you [00:08:30] have an advantage because when you’re in a company like this, that is so mission driven and so out for humanity and what the world could become, you certainly (on the purpose and meaning part) have something special. Let’s just say you’re a manager listening to this and they work in a manufacturing company. They’re making widgets and you’re trying to figure out – how do you tap into meaning? You’ve obviously had this experience when you didn’t feel that connection. [00:09:00] Do you think that connection can be made when it’s a hardware product or something like that? Cheikh: Yes. I think it’s good to take time to understand what somebody’s motivation is. It’s important to tap into that motivation and keep that person going. Lisa: If you just asked one question to try to get at somebody’s motivation, what would that thing be? Wenny: Whenever I work with someone that I don’t know, I make sure that the very first meeting has nothing to do with work. That it’s [00:09:30] just about getting to know each other and understanding. You don’t want to make people say things that they’re not comfortable sharing, but just opening a dialogue for people to share what they’re comfortable with about their life and their family and where they went to school or what books they love, what music they love, what their hobbies are, so that you can build trust. I think in order to be able to be on a team and have healthy conflict about ideas, you have to trust each other. In order to build trust, you have to know something about the person [00:10:00] beyond their name and their title. Lisa: It doesn’t cost any money, either. That’s a great one, Wenny, for that. Wenny: Exactly. You do it over lunch. You go out, “Hey, I’m so glad we’re working together. Can we go and grab lunch?” You just talk about life and each other. Also in keeping that feeling going and building that relationship too, a lot of times, we work with people that are overseas. I had a team that was all in Kenya. We did so much better, we were so much more engaged when we were on video, rather than when we were on the phone. As much as we could, we did Skype and video calls more than just being on the phone. When you’re on the phone and someone could be doing something else and it’s too passive. When you’re on video, you have to really focus. So yeah, using video and just keeping a personal relationship just when you start meeting like, “How’s everything going with you guys? How’s your family?” You know what their kids are doing. “How’s soccer going?” or something. “How’s your garden going? You grow tomatoes. Do you have any tomatoes yet?” Just to have ahuman connection and not be so boring about work, because things can get boring sometimes. Lisa: [00:11:00] It’s big. People say, “Oh, you’re not focusing on work”, but you’re focusing on work by focusing on the people that do the work, so you have to have that piece. Cheikh: Adding to that, I might be an introvert sometimes. I don’t like to talk. I just sometimes just keep it business as usual. Cheikh: I’ve been working with my manager for a while. She can tell by how I react if I’m excited about something or not. She knows that I like to be challenged. If a new challenge comes up, she can see the excitement in me. I think paying attention to the non-verbal action of people pays a lot. They can’t help unless they are 100% sure what motivates that person. Lisa: I like how practical your ideas are. You were talking about the fact that someone can read you [00:12:00] and know. The same thing applies with anybody that you’re working with whether they’re your direct report or a colleague who’s a peer. If you get to know each other at those informal lunches and they know, “Oh, you want a little more time to think about things” or “Don’t put me under pressure to speak in the moment” or “Now I can see that eye twitch means that’s a good thing”. All those little signs. 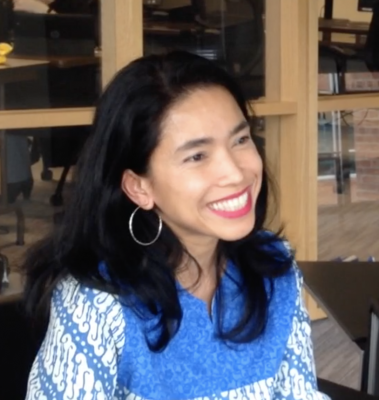 Wenny: One of the things that I love about FHI is HR has set aside funds and resources for employees to come up with [00:12:30] ideas. We have the Awesome grant: give us an idea that’s awesome that you can do for $1,000 and we’ll consider it. Everyone can submit his or her ideas. One of the Awesome grants was to get some bicycles that employees can check out and go for lunch, go ride into downtown and grab a coffee or a lunch. HR, it’s not tons of money, but it’s very encouraging to feel like your ideas are valued and for HR to say, “We want to know what …” [00:13:00] The Awesome grants are about the culture. $1,000 projects to make our culture better. I love that HR is thinking that way because that’s creative and it’s not expensive. It’s pretty easy. The staff is doing all the work. They’re coming up with an idea they’re implementing. Lisa: And executing. I hear that and I think if someone said, “Oh, we don’t have that. We have $100”, you could do an Awesome grant with $100. That’s cool. Paige Winn (cameo appearance): Do you guys know about the randomized coffee trials? Maya: Yeah. Every [00:13:30] month, people who register to be part of it will get an invite. They match us with other people and we can have talking and it’s just having a coffee or tea or even lunch if you want. I meet most of the time with someone new that I never met before. It’s really good because we are such a big company. So many new people – we benefit. Lisa: Yeah. Say more about how this actually works. You’re an employee and I’m imagining [00:14:00] it could be something like networking and I just want to meet someonein whatever department? Lisa: Networking, mostly? Does it happen through software or how does this happen? Maya: It’s just an email. Wenny: It’s part of the Awesome thing. Someone manages it. They get all the names of people and then they use random matching and send out emails. 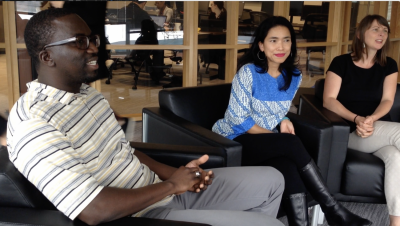 Cheikh: Usually the people that they match are in the same department. Cheikh: We end up being matched to somebody who is doing something totally different than your area of work, so you can talk about projects you’re working on. Wenny: The ones that I’ve been in, we talk about work some and what kind of projects you’re doing and what excites you about what’s coming down the pike. Maya: Most of the time. Yeah. Wenny: “Where did you come from? Who are you?” It’s all the employees who schedule it and reschedule it if you need to cancel. That’s your gig. They just tell you whom you’re matched to and then you can take it and run. Lisa: You’re hitting [00:15:00] on an enormously important concept. I talk a lot with managers about individualizing to each person and what makes them tick. Wenny: One thing I really appreciate is that we get handed out stationary that is a thank you note. It has a logo and it says ‘We are FHI’. You get those and when someone does something that you appreciate or helps you out, you can send them a handwritten thank you note. I have handwritten thank you [00:15:30] notes from people in leadership that mean so much. The power of that is just so real and wonderful. We can do that to each other. We also have an ability to nominate people for awards. Cheikh: Yeah. The Now Award. Wenny: On an ongoing basis, we have a Now Award, which is just someone helped you out. It can be a $10 gift card or $20, whatever. Once a year, then we have the big award. They take nominations from around, many, many offices around [00:16:00] the world. It’s nice. There’s a ceremony and peopleget to tell their story. You hear why people got this award and they give it to teams. It’s not about individual accomplishments, it’s about team accomplishment and project accomplishment. That’s awesome because then you’re really creating a culture that values teamwork. 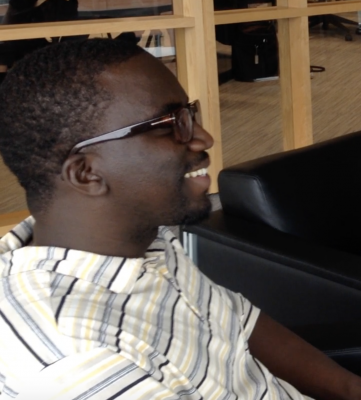 Cheikh: Also, what I like especially about the Now Award is that it is something that you get from peers. You’re working next to each other. Maya: Right. In the same department. 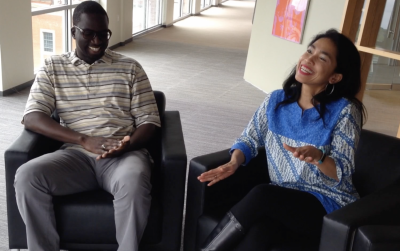 Cheikh: It doesn’t come from the top leader. [00:16:30] My direct manager or my direct coworkers are the ones that can nominate me. Just getting an award from them means a lot because they are the people that you interact with all the time, and they see you putting in the work. The direct manager knows what I’m doing every day. Getting recognition from them sometime means a lot. Lisa: As I was listening to your answers, I was thinking about how that gave people a [00:17:00] big, bigger, biggest option where thank you cards, recognition cards can be big, Now Awards can be bigger, the team impact thing, the biggest. But that something as simple as a peer recognition getting a handwritten note whether it’s from a peer, even an email, that it’s big. It’s a big meaning to you even though it’s a small easy action to take. Anybody can keep a stack full of blank cards at their desk to recognize peers, even if their company doesn’t [00:17:30] provide something. Okay. Closing thought. It’s a simple question, yet a deep question. What do you know about team dynamics today that you didn’t know five years ago? He’s setting the tone. He’s setting the tone and then that becomes the tone of the team. I think it goes all the way up to our CEO. We have a CEO suggestion box. You can say anything you want in the suggestion box. Anything. [00:18:30] He will respond publicly unless it’s private, if it’s an HR issue that is private. He sets the tone for communication. That would be my nugget: the leader sets the tone. It’s your responsibility to set the tone for your team. If there’s gnarly-ness going on in your team, you have to not just want to blame it on them but look inward and accept some responsibility. How do I turn this around? What can I do? Instead of just saying, “All those people are hopeless.” I [00:19:00] believe it comes from the top. 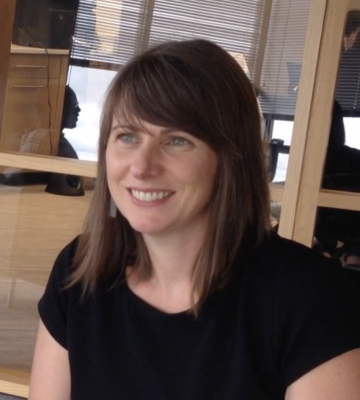 Lisa: It takes a lot of small interactions to make that openness happen, so that’s a really good lesson. Wenny: You know one thing we didn’t talk about, but I think is really great, is that I only work 60% of the time. That’s a choice that I made, so that I cannot make my kids eat TV dinner every day, right? Lisa: Ooh, it is a big one. Wenny: I work less and I make less money, but I still know, and I think most people here know, that you don’t get all this [00:19:30] stuff. Culture is not going to just … someone else is going to create it. You have to put the time in even though I’m only working 60%, but I put the time in for the Charity Cube. We put the time in for the ERGs. We do it because we know that it’s our responsibility. We get to own whether this place is awesome to work at or not. It’s everybody’s responsibility and we all chip in, don’t we? Wenny: People chip in. We’re not getting compensated for these things that we’re doing. We shouldn’t be. We’re doing them because we want to work at an awesome place [00:20:00] and that’s what it takes to work somewhere awesome. If you’re not willing to give a couple of hours a month or one hour a month to make this place awesome, then it’s not going to be awesome. That’s why it’s awesome. If you think everyone else is going to create the culture and then you get to benefit from it? No. That’s not how it works. Lisa: It’s so uncommon to see any fractional work schedule. Wenny: Yeah. It has to be that your project, it meshes with your project needs, but yeah. If you can justify in how it will work and it works [00:20:30] for your group, then you can do it. Lisa: Wenny ended it so perfectly, didn’t she? You know what, if you want your workplace to be great, it’s built from the inside out. A culture’s not an HR initiative, it’s not a vision from one single leader. It’s actually a reflection of the past and the present and all of those actions, habits, preferences, commitments and trusts that are going on in your organization. Building a strengths-based culture takes [00:21:00] some time, effort, and ongoing communication. They did such a great job of showing how yes, it does take an effort by many people over a long period of time to shape a culture yet at the same time, they demonstrate really beautifully that these 10 ideas can be executed by anyone at any level and really with any budget level. To do a quick recap, here are the 10 ideas. I hope you will take some inspiration [00:21:30] and implement a spark that you got from this episode in your company. Turn an empty cube into a Charity Cube.Use it to give to causes that employees select and care about. Form Employee Resource Groups (ERGs), and don’t limit them to ethnic diversity groups. Allow team members to find connection points and create groups, like their cyclist group or veterans group. Focus on the work by focusing on the people doing the work. Build human connections by being willing to chat about non-work topics. Get on video for remote team members. Going deeper builds trust that translates into results. Offer Awesome Grants. Give people the opportunity to apply for grants that build a great workplace. They implemented everything from a sharable bike program to buying StrengthsFinder assessments – all from their Awesome Grants. Create a program like their Randomized Coffee Trials.They literally get matched up with a random person from another department to have coffee and try on a conversation. It has been awesome for cross-functional networking and collaboration. Provide an inventory of Thank You cards. They provide stationery to each employee so that offering appreciation is convenient. This removes cost barriers and convenience barriers that would otherwise keep people from doing it. I know, that sounds like a lame excuse to not say thank you…yet I don’t see fat stacks of thank you cards on people’s desks, so this idea rocks. Make it easy. Now Awards.Start a peer-nomination system. Get rid of the bureaucracy and approvals. Allow people to give something simple, like a $10 gift card to a peer. Annual Awards.This is their big team award, so it’s different from peer awards. This one recognizes project level success. They go all out with stories that describe the team’s experience together. And they pump up the pomp and circumstance to really make a celebration out of it. Set the tone.As a leader, FHI leaders are comfortable with a heartfelt tone. They are willing to listen and help each person feel important. They see from their results and loyalty that it’s a big deal. Whether it’s a meaningful team message or their CEO suggestion box, they’re out to show people that they matter. Get creative with work schedules.FHI offers what they call “Reduced LOE” where any professional on their team can work fractional hours and get prorated benefits. What a creative way to keep your best employees through different seasons of their lives. It makes team members feel accountable to keeping the amazing culture train going – what a brilliant way to build a feeling of ownership all the way through. At its simplest level, consider offering a job sharing program or part time roles. The important differentiator here is that it’s not just for entry-level jobs. When you show people they have a career path with flexibility, you can keep your top talent rather than having them opt out of the workforce entirely. It makes the team members feel accountable to keeping the amazing culture train going, you heard that from Wenny, and what a brilliant way to build a feeling of ownership all the way through the organization. If you offered this at its simplest level, just consider doing a job-sharing program where two employees can share a job 50/50 or maybe you offer part-time roles. The important differentiator is that it’s not just for entry-level jobs. I do see people experimenting with part-time offerings, yet they stop at the entry-level jobs. The magic here is that when you show people they have a career path with flexibility, you can keep your top talent rather than having them opt out of the workforce entirely. All right. With that, I’d love to hear what this episode inspires you to put into practice. If you’ve done the Clifton StrengthsFinder assessment with your team, it’s a great [00:27:00] spark. I say this often. It’s a great start, it’s a great spark, but it needs the continued conversation and execution to have the deep impact on an organization. First, I’m virtually high fiving you if you’ve gotten the conversation started already and the examples in this episode are a great way to support talents and put them into action. Just think about this for a second. If someone on your team leads through the Discipline or Focus talent themes, maybe they create the calendaring process for something like those randomized coffee trials because they really dig the organizational skills and the follow through part. If someone leads through restorative, maybe they institute their own ERG. They create an employee resource group called the Fix It Amigos, I don’t know, to tinker on electronics or solve business issues that people submit. If someone leads through the developer talent, maybe they propose a mentoring program or they offer to be someone’s mentor so they can take them through those small steps of development and have someone who they can celebrate the success of. If someone leads through Includer, they might offer to become the onboarding welcome wagon and offer tour guides to ensure that new hires feel totally comfortable and grounded in their first week on the job. You get the idea here. I’m just spit balling. The idea though is take your talents and the talents of people on your team and aim them at culture building conversations. Aim them at specific company programs. Get people involved in ways [00:28:30] that light them up. Encourage people to contribute in ways that bring them ease and energy and enjoyment about the workplace and about their culture and about their roles. After all, if they’re obsessed with fixing their weaknesses, you know what I’m about to say here. They are performing on the road of most resistance. So help them claim their talents and share them with your culture.